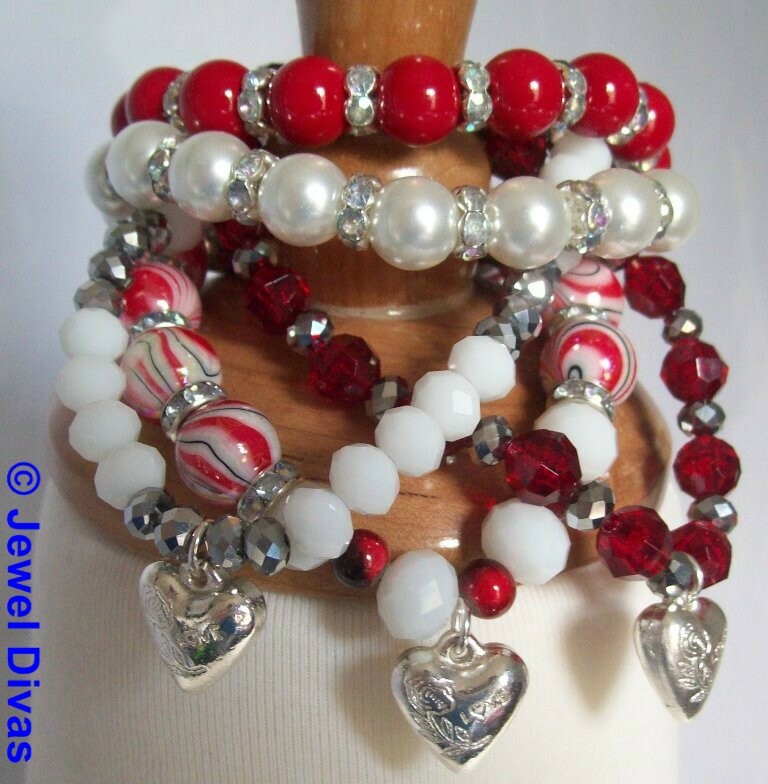 With the Australia Day holiday in just 25 days time, Jewel Divas is introducing not only the “AUSTRALIA DAY” jewellery set, but the “VALENTINA” and “ST. 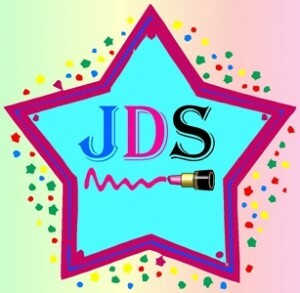 PATTYS” jewellery sets as well. 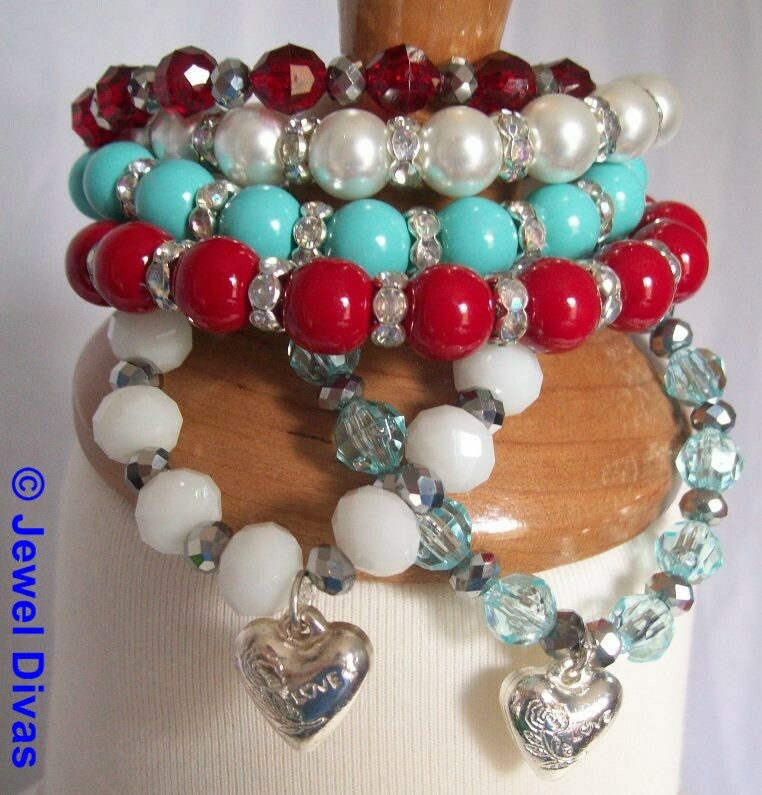 The “AUSTRALIA DAY” bracelet stack features 6 gorgeous glass and crystal bracelets with two silver heart charms. This piece is available on its own to buy and wear not only for Australia Day, but the upcoming ANZAC Day holiday as well. 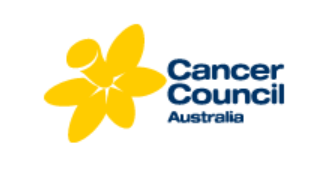 What better way to support two great days in Australia. 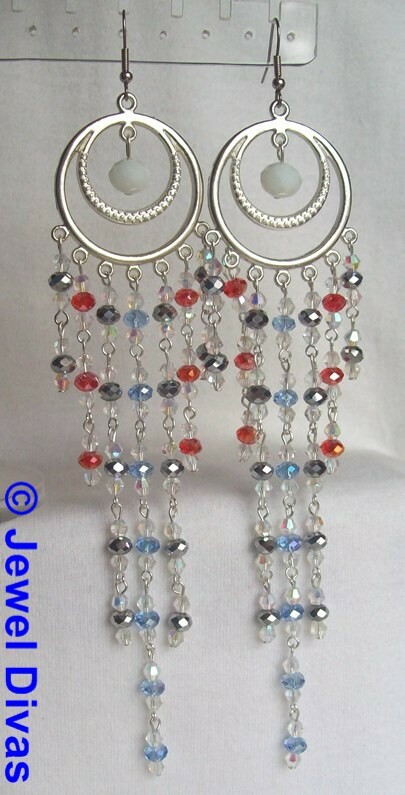 The “AUSTRALIA DAY” crystal earring and necklace set consists of red, blue, silver and clear (“white”)crystals hanging from round chandeliers. 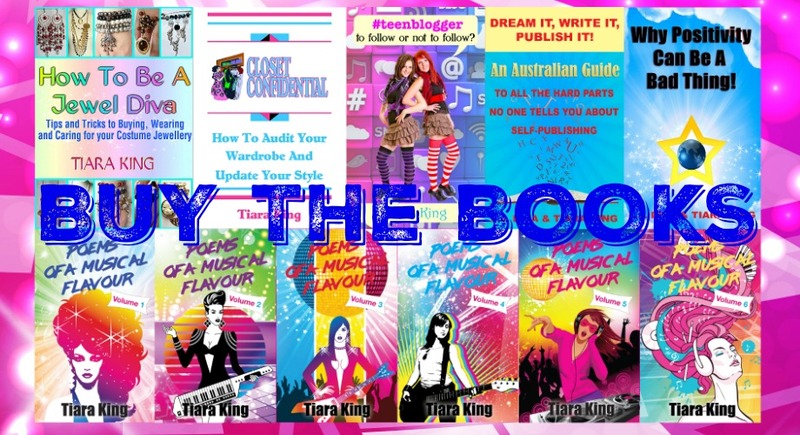 Again, can be worn for Australia Day or the upcoming ANZAC Day holidays. Add these amazing sparkling pieces, sold as a set, to your jewellery wardrobe and celebrate the nation. 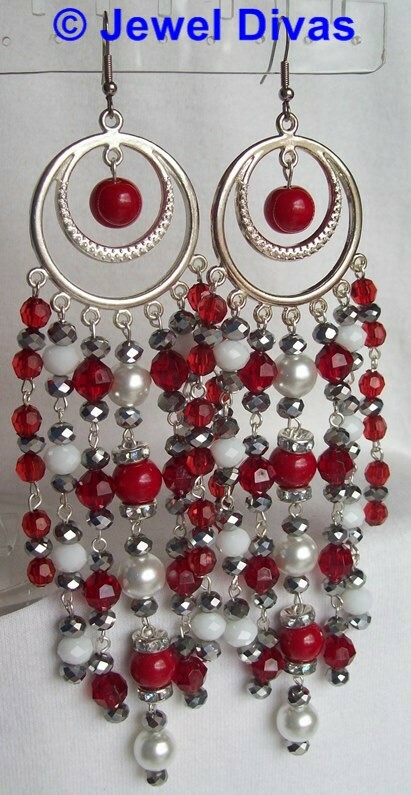 The gorgeously amazing “VALENTINA” earrings measure 17 cm long and feature cascading glass beads in red, white and silver. 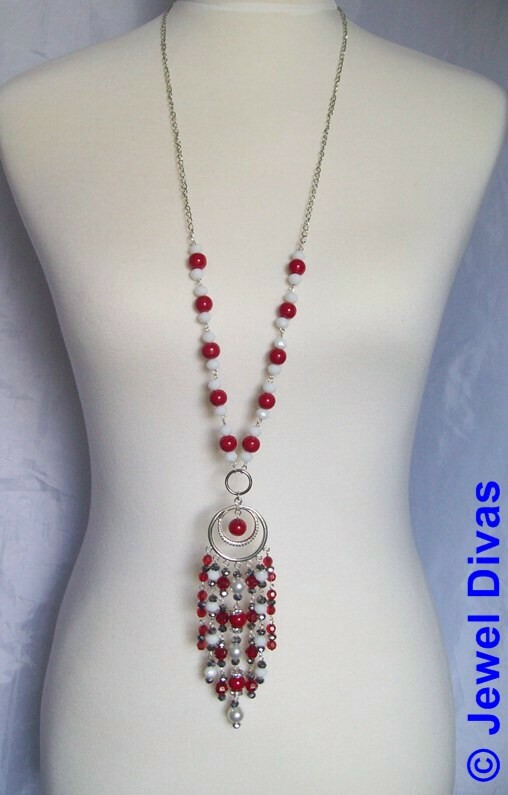 The amazingly gorgeous “VALENTINA” necklace measures 62 cm long on a mix bead and chain necklace. 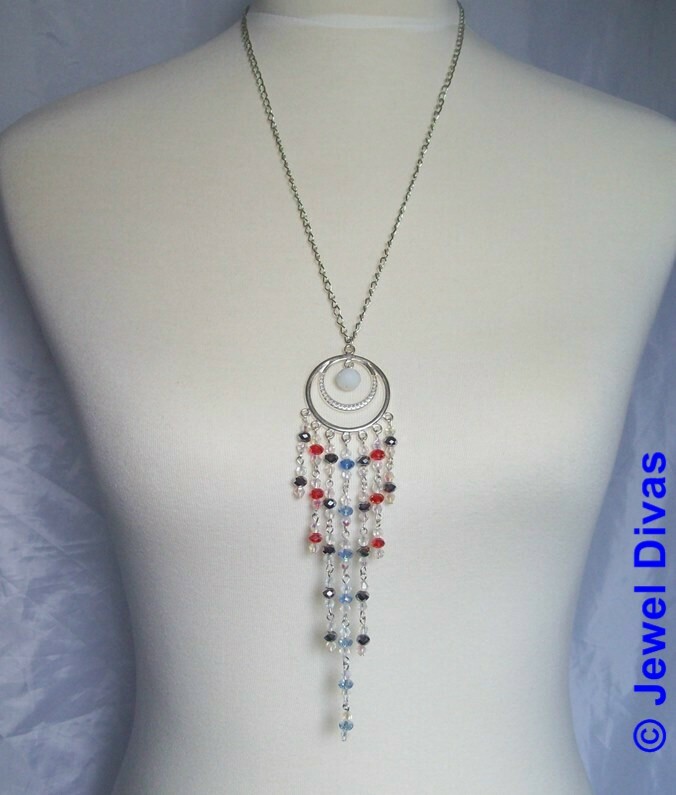 Cascading red, white and silver glass beads rain down from a round chandelier. 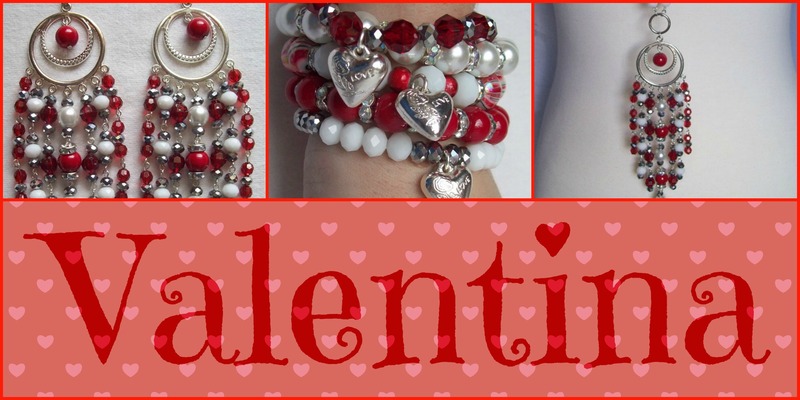 The amazingly gorgeous “VALENTINA” bracelet stack fits a 6-7 inch wrist and consists of 5 bracelets full of red, white and silver glass, crystal and resin swirly beads and three silver heart charms. Getting ahead of St. Patrick’s Day with the “ST. 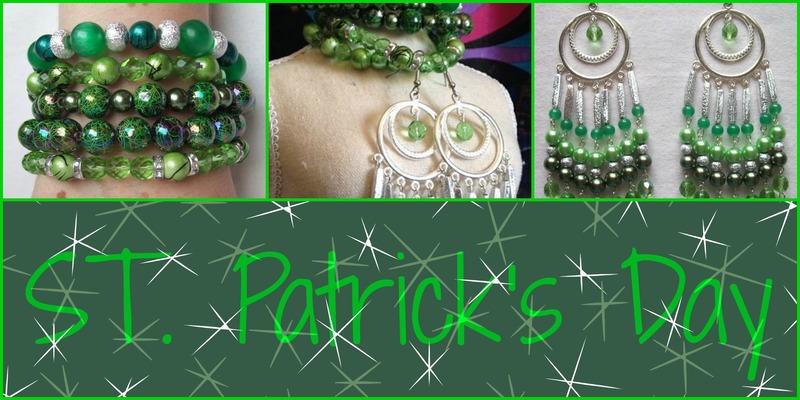 PATTYS” jewellery pieces that are like green all sorts lollies. 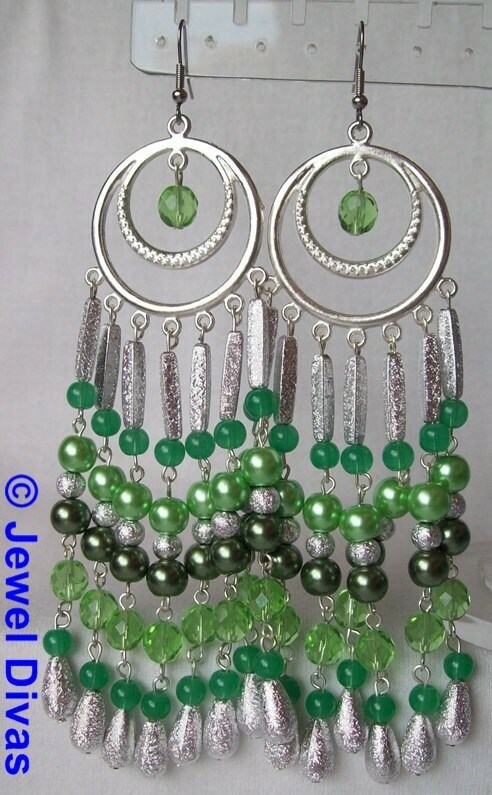 Earrings full of cascading apple and olive green glass pearls and crystals with stardust beads to top them off. The five piece “ST. 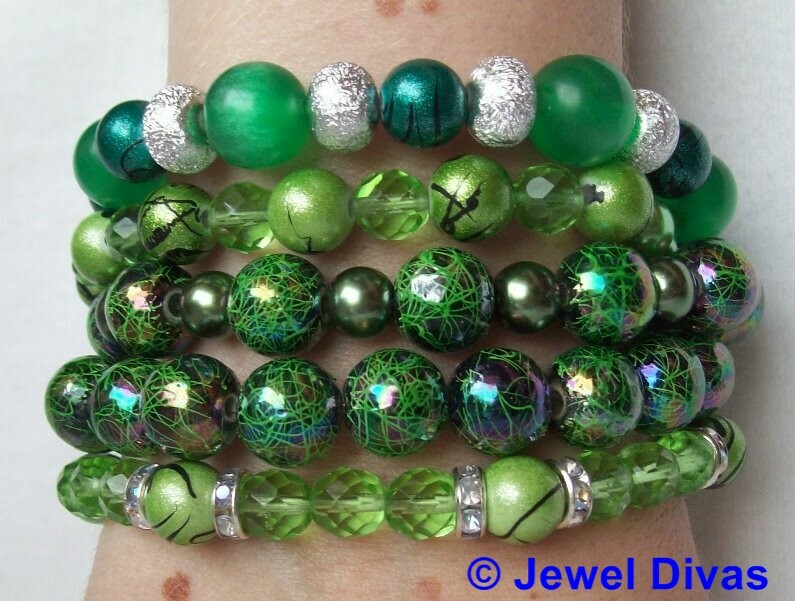 PATTYS” bracelet stack is full of the same beads, apple green glass pearls mixed with apple green glass crystal and resin. Olive green glass pearls with resin swirly beads and gorgeous resin beads mixed with stardust. 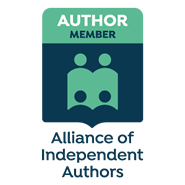 The Tote Trove recently posted…The Candid Sweet Potato . . .